When we upgraded our drivers, we were forced to redesign outward. The lovely cabinets grew over its predecessor due to thicker cabinet walls and improved bracing. Why? 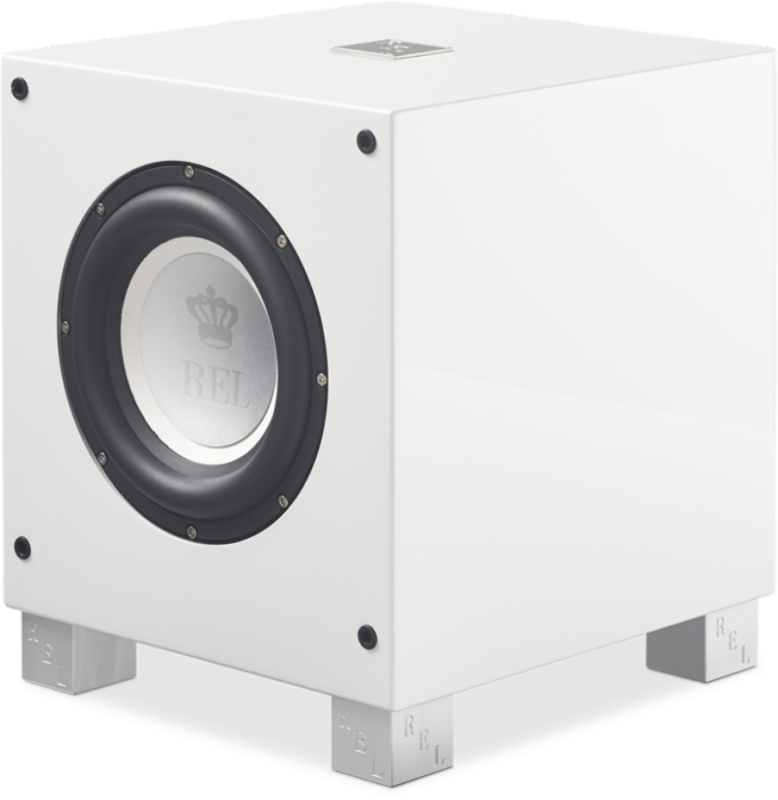 Because the additional speed and impact of the new drivers requires greater control or the benefits can be lost before they get to the listener. 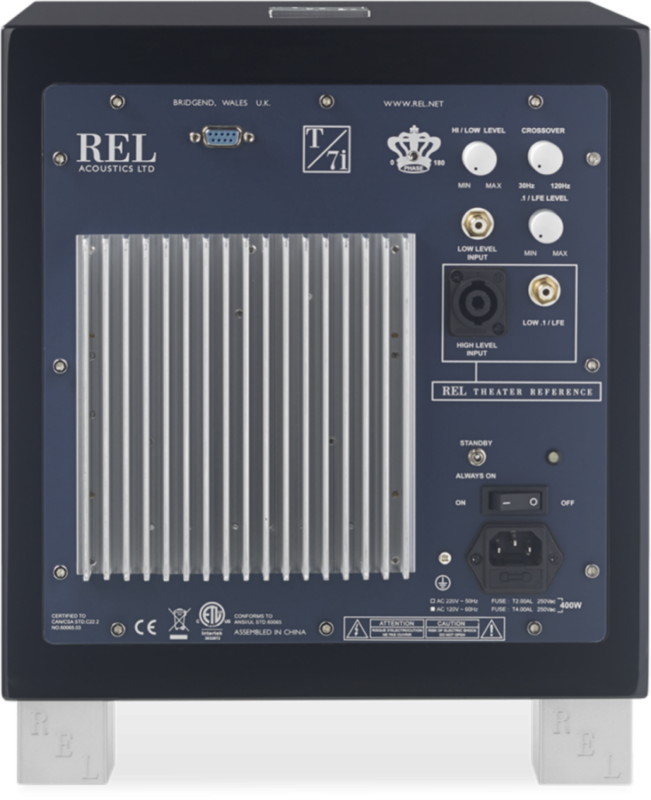 If our driver designers deliver the structure of REL’s sound, the electronics are the brains and the power behind our success. 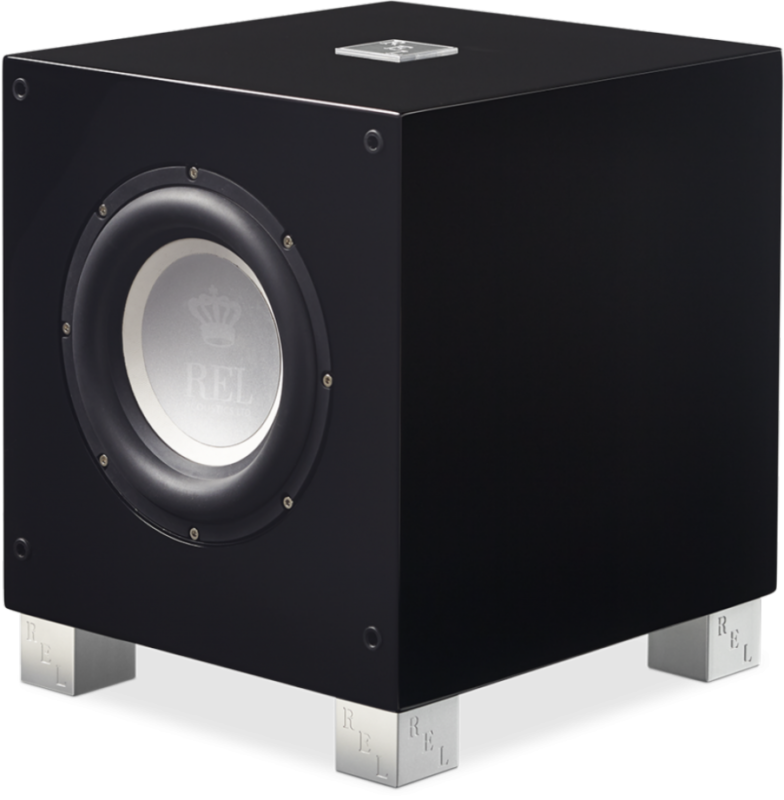 Serie T/i uses the same Class A/B power amplifier sections with large, high current power supplies, precision-wound toroidal transformers and an amazing reliability record that has powered almost 100,000 RELs. 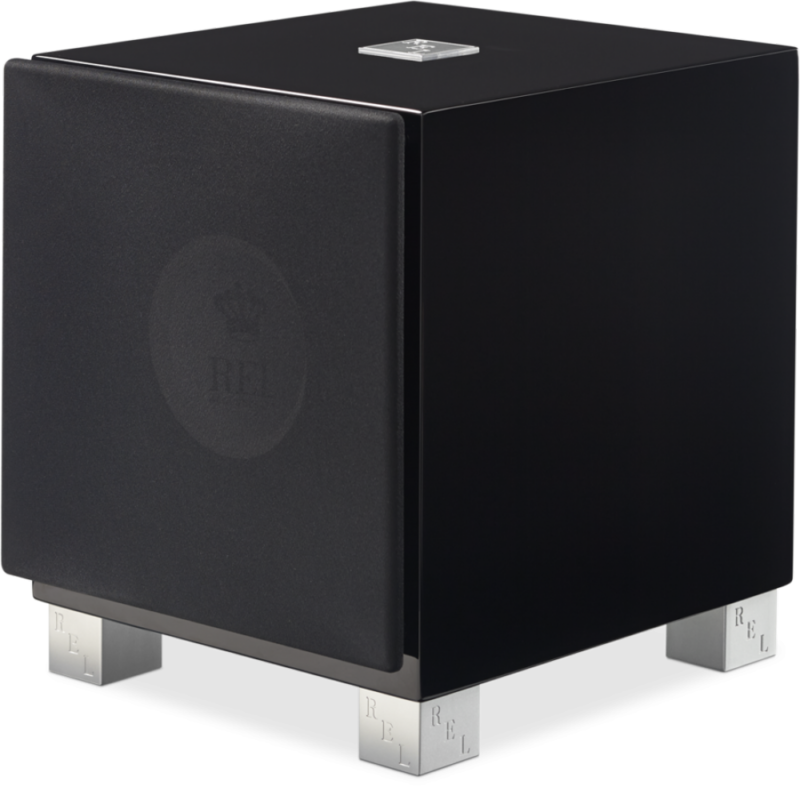 Our proprietary filter designs are responsible for rave reviews for REL’s unique ability to blend seamlessly while layering on all the harmonic structure missing from conventional systems. Arrow™ is REL’s latest generation of zero compression wireless. Super-fast delivery of both High Level Bass and .1/ LFE ensures the rich, natural warmth that only RELs can deliver. 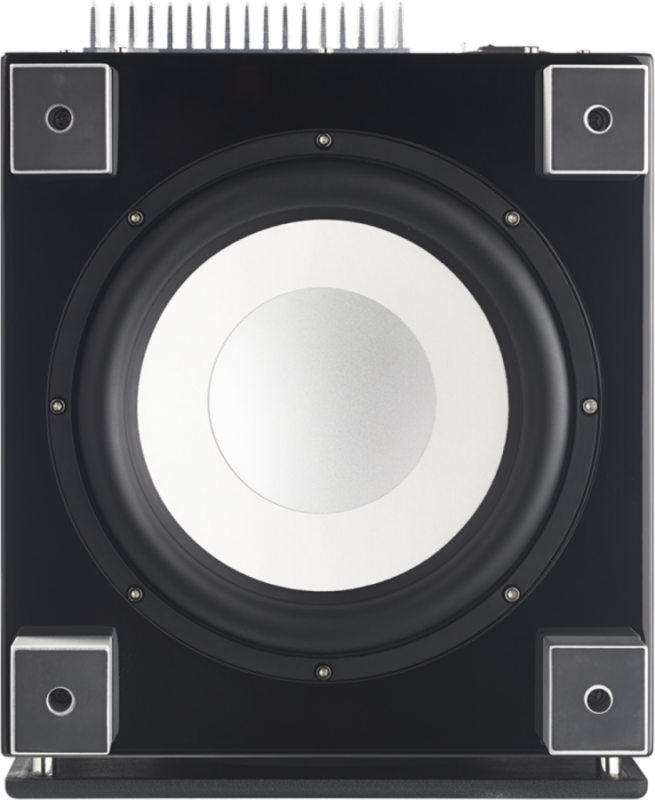 With a throw distance of some 45’(13.7M) Arrow permits flexible placement without sacrificing sound quality. 8in. (200 mm) long-throw, FibreAlloy inverted aluminium dust cap, steel chassis. White cone.